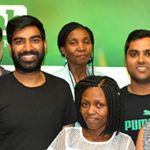 Tshwane University of Technology (TUT) participated in FameLab SA for the first time this year – the contestants were excited to be part of this internationally renowned competition, communicating their science and research for the opportunity to represent TUT at the semi-finals. Congratulations to Mapula Razwinani who won the TUT heat! She moves on to the masterclasses and the semi-finals along with runner-up, Ntombikazi Jojo, competing for the national FameLab title. Mapula has been researching how medicinal plants can be used to make cartilage in the human body and was excited to share her passion for her science. Runner-up Ntombikazi Jojo will also be going through to the semi-finals. 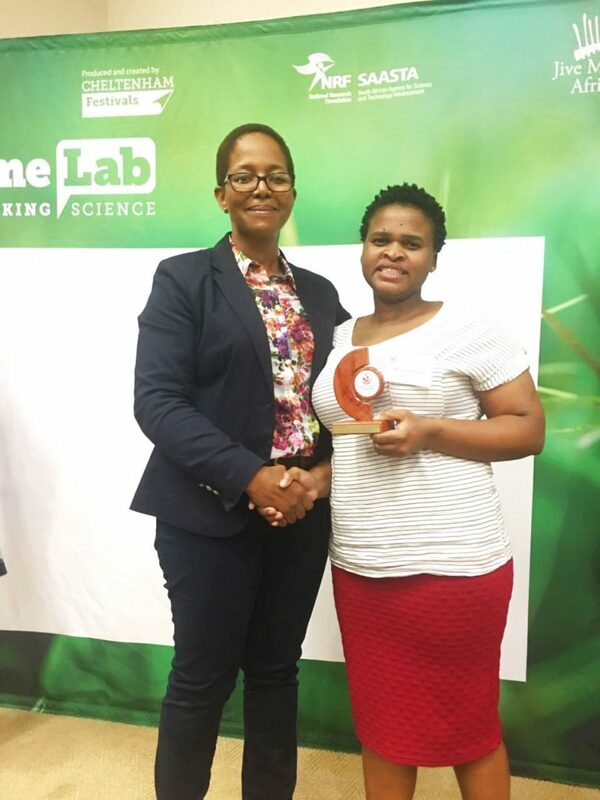 Ntombikazi is a full-time masters student at TUT from the Department of Chemical, Metallurgy and Materials Engineering. The TUT participants attended science communication skills and media training with Jive Media Africa, to prepare for the competition. 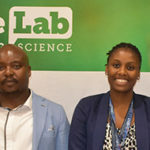 Jive will be tweeting live from the semi-finals, follow @JiveMediaAfrica and tweet us with the hashtag #FameLabSA to show your support for Mapula and Ntombikazi!